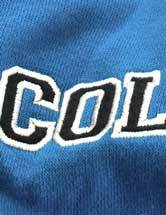 For those of you looking for the truly classic college look, large stitched appliqué text offers a three-dimensional textured finished that will set your garments apart. 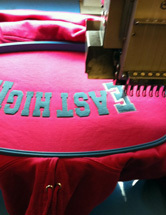 Your design is laser cut in material and then stitched onto your hoodie, sweatshirt, polo, or other garment. 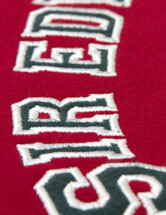 This result in a truly unique personalised garment.